Off the Shoulder Trend for Under $15 ~ Roses and Rain Boots . Hi friends! Who watched The Bachelorette this week? I know, I know, many people think it's ridiculous. But, this show is totally a guilty pleasure of mine thanks to my bestie, Rosie, who's family totally introduced me to the show way back in High School. We even had viewing parties, which we now continue with our boyfriends or other friends we can convince to watch the show. I definitely urge you to invite over a friend and a bottle of wine to make the viewing more enjoyable! Anyway, what did you think of this week's episode? I can't believe she didn't pick someone. Just as my friend Leah and I were saying "Luke is the front runner, he has so many positives" She wants to send him home, then instantly changes her mind after his quick talk with her. Granted I understand he told the actual words "I. love. you." But truthfully she seems a little bit indesivce the whole season. Who do you want to win? Be sure to leave your pick in the comments section! For today's ootd, I was totally inspired from the Bachelorette. Red isn't usually my color, but I was so excited to find this top. It is on point with the latest trends and totally affordable! It's the perfect summer top for transitioning from day to night. Pair it with cut offs, a trendy clutch & staple sandals and you are good to go! So cute! The off the shoulder trend is my favourite trend this Summer! I love how you paired it red with the cheetah print clutch too! Great top and love the clutch! I love that top its super cute and you look so stunning!! Such a great summer look! Such a cute top and I love the bag you paired with it! I love the off the shoulder style! I think it's so cute and comfy. I'm obsesssssed with the off the shoulder trend! Love this top! Oh girl!! This is SO cute!! Love that red off the shoulder top, especially paired with the leopard clutch! I'm not sure which I like more, the top or the bracelet! I've heard so much about the Bachelorette, I really do need to start watching it. I love that top! 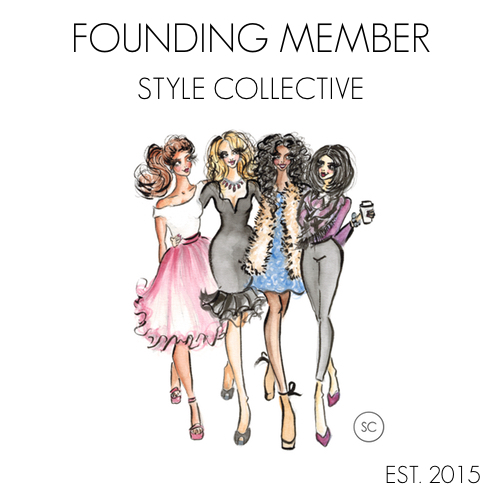 I just ordered a few OTS items and can't wait to get them in the mail. Such a bold color! 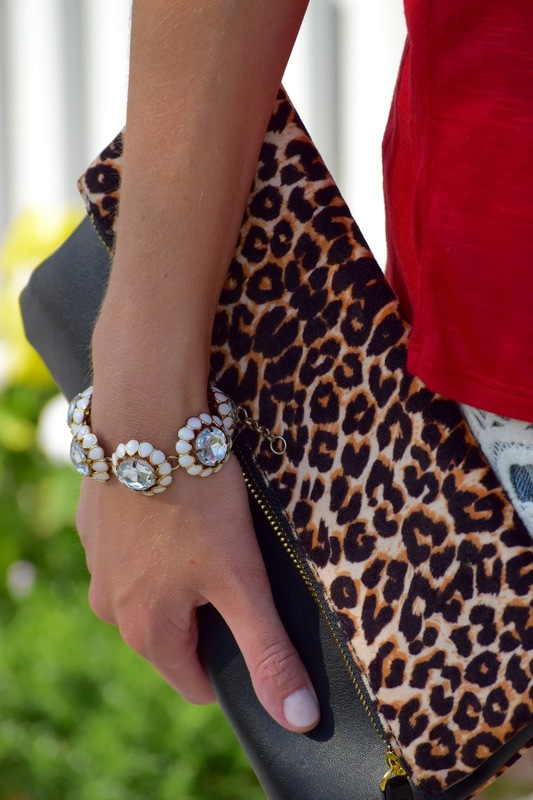 I love the leopard clutch paired with it! Looking good like usual girl! I'm in love with the color and cut of that top!!! Cute clutch! I'm a big fan of leopard print!